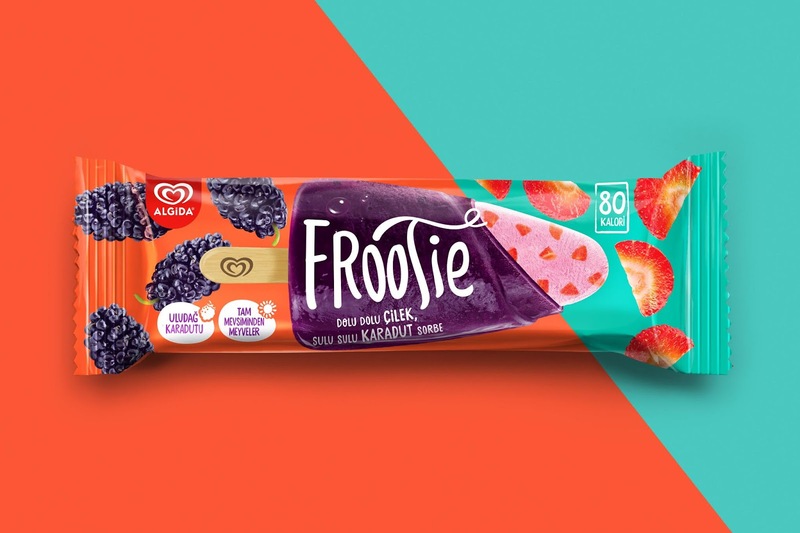 Frootie is a new product launch in the Unilever Turkey ice cream portfolio under the Algida brand. 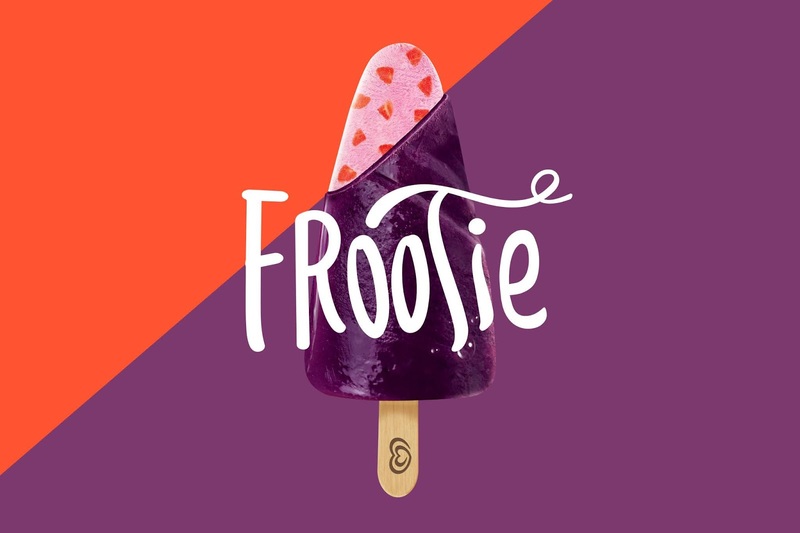 As the brand name Frootie gives reference, the main feature of the product is fruit chunks in the ice cream and the fruit sorbet covering. One may say that this ice cream is full of fruits. 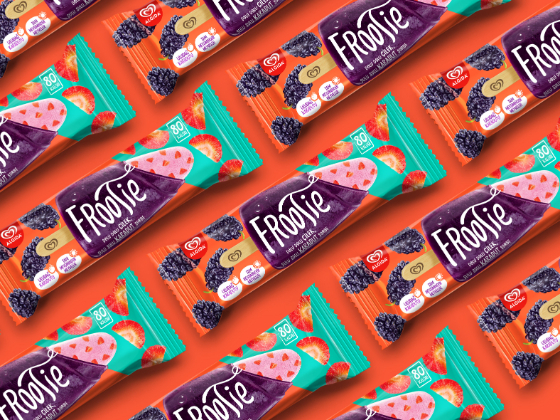 For this reason, we aimed at emphasizing the fruits on the packaging using strawberry and mulberry pieces as a pattern. Contrasting colors used on the background pops the fruits as well. The diagonal division of the colors give reference to the products section, which helps us to show the consumers inner ice cream. The project covers logo design, creative packaging design, key visual design for communication and product illustration.